A lot of people don’t have a lot of money. In fact, most people don’t have enough money, and many don’t even have enough money to keep as maintaining balance in their bank account. People often make jokes about their finances – and you can find a lot of jokes about robbers returning items to people because the gadget turned out to be cheap or the wallet empty. But netizens were surprised with the news that this joke actually happened in real life! 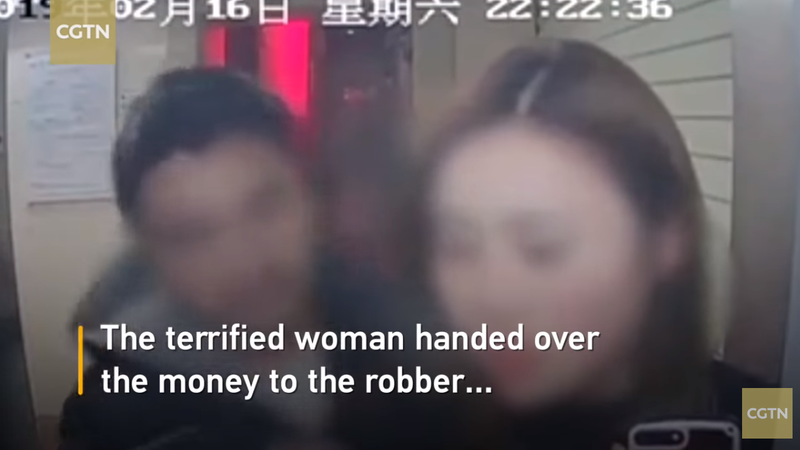 In Guangdong City of Heyuan, China, an unnamed woman was withdrawing cash from an ATM inside ICBC bank when a man walked in with a knife, announcing that he wants to get her money. Terrified at the robber, the woman handed him the cash in her hand. But the man wanted more. 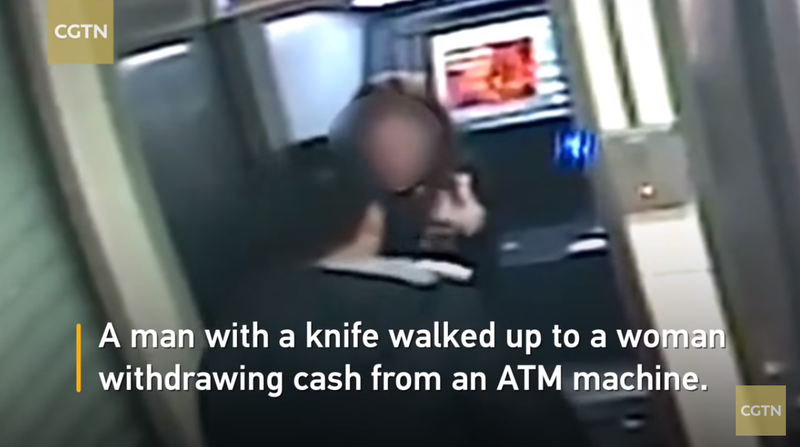 Instead of just taking the woman’s cash, he told her to use the ATM again to get more money. He made the woman insert her card inside the machine and check her bank account balance. He was intent on getting more money from this woman – and at first, it appeared that he would have gotten more cash because the woman complied without hesitation. She was certainly too afraid of the knife in his hand. Yet the robber was surprised to see that the woman had no more money in her bank account! So, instead of forcing her to get more money, he actually gave her back the cash he took – she clearly needed it. The man was smiling when he returned the money; perhaps he was trying to appease the woman. But she reported the incident to the police. Though he returned the money quite amicably to the woman, the robber was still taken into police custody. He might have been a ‘kind-hearted’ robber, but the police were not impressed. He’s now facing charges for the incident.